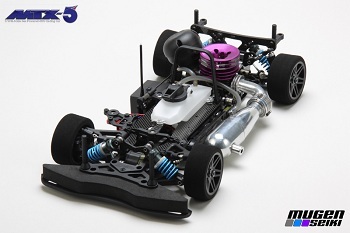 Mugen has released pictures of their upcoming MTX-5 nitro touring car. This car is packed with new features and they plan to ship it out next month. My all time favorite brand is Mugen. My only experience is in racing 1/8 scale with my 2 MBX6’s; the quality is just unsurpassed. I wish this company would get into some 1/10 electric. They could offer a good entry.